1 ball between 2 players with cone inbetween the two players. Juggling warm up to get players moving, 1 bounce before every touch to keep it controlled. Soft touches keeping ball under control. On toes to move quickly to get in line with the ball. 2 touch - Use thigh, chest etc. Players keep a score to make it competitive. Server throws the ball to partner who works from side to side. Rotate after 10 serves. 1. Working player to volley ball back with inside of foot. P - Control ball down to the ground. 2. Working player to chest the ball and control on the ground then pass back to server. 3. Working player controls ball on thigh then pass back to server. 4. 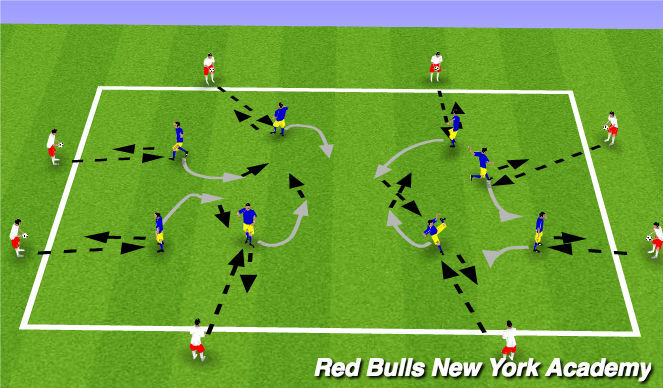 Working player checks to cone behind then checks forward to control bouncing ball on half volley. Judge the flight of the ball. Decision making - decide which surface to receive with. Servers around the outside with equal numbers on the inside. Servers with a ball each. Servers throw ball in to working players who receive the ball and pass the ball back. Working player then moves off and goes to a different server to receive from them. Control to the ground then pass back. Players receive the ball then dribble to a different server without a ball and passes to them. 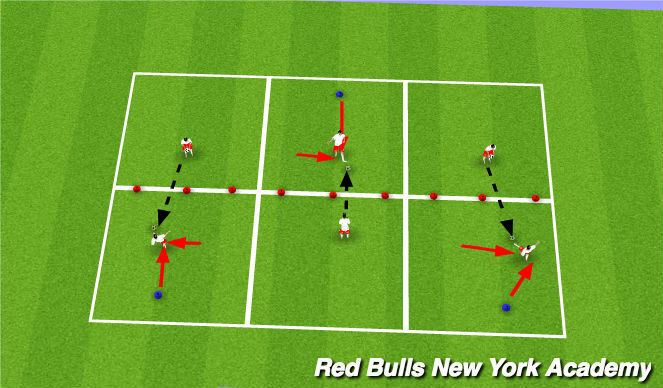 6v6 game with 2 players on each team who can use their hands but cant run with the ball. Throw ins from all round the pitch including goal line.